We all dread the idea of sleeping next to a snoring partner. It is both annoying and destructing to a good night sleep. Snoring has been found to be more prevalent in males and overweight persons, but it still affects people of all genders and age. Unfortunately, as people grow older, snoring becomes more and more pronounced. Below we will let you know how to block out snoring noise and what you can do to fix snoring permanently. Your best bet is undoubtedly to use earplugs. If you have some laying around, now is the time to put them in! Although they may not completely block out snoring, they will certainly help block out most sound. If you do not have earplugs handy, a local hardware store will certainly have them. 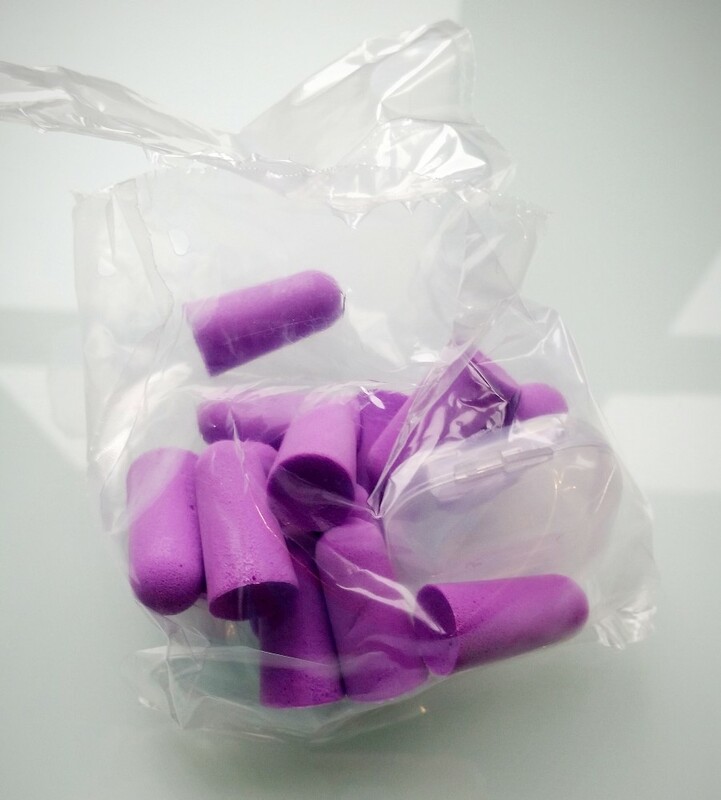 Additionally, many corner stores also have ear plugs available for sale in small packs, so you can pick some up there. A quick and easy way to help block out snoring is to sleep next to a fan. 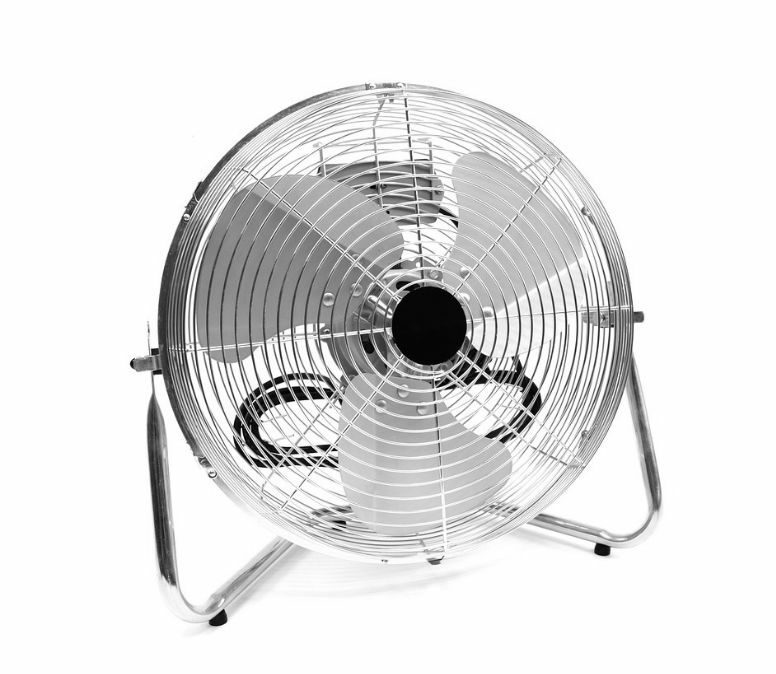 Using a fan will create a white noise effect that will drown out a large amount of the snoring noises while also keeping you cool. Fortunately, this method can be combined with the previous method for even better results – try sleeping next to a fan while also using earplugs. In many cases, this will completely block out the snoring noise. If the snoring is really bad and you can’t seem to block it out using earplugs and a fan, it may be time to try sleeping in another room. 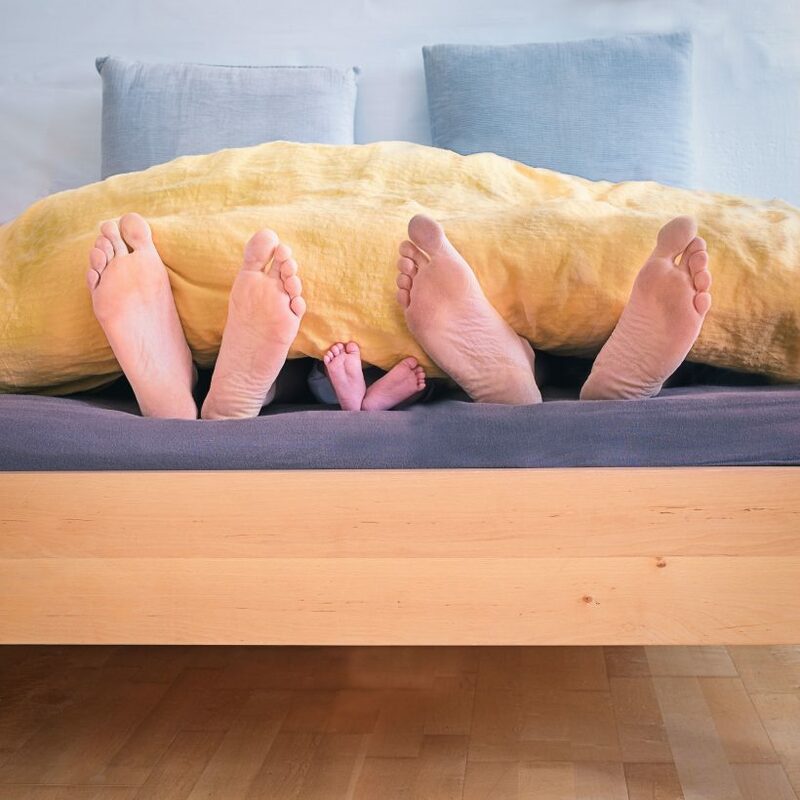 We know this isn’t the most fun answer – of course, you want to be by your partner, but you need to get a good night’s sleep! Try moving to another room, or if you do not have a second bedroom, crashing on the couch in your living room. We recommend bringing the earplugs in case your partner is an unbelievably loud snorer. Allergies. Allergic reactions (not all), can trigger snoring. Fortunately, this can be remedied by mitigating the factors that provoke these allergic reactions. Weak Throat Muscles. Weak throat muscles can easily block your air passage resulting in snoring. The thing about snoring is that it can cause even more snoring. As you snore, these muscles become weaker and with time snoring advances from mild to a bigger disorder. If not handled prudently it can even result in obstructive sleep apnea. Excess Weight. As we gain weight, the excess fats are deposited beneath our tissues which include the throat tissues. As the fat increases, free air passage is interrupted, consequently inducing snoring. Most people who snore will testify that it started or became more pronounced soon after gaining a few extra pounds. Nasal Congestion. The nose is the primary organ for breathing. Primarily, snoring originates from the throat, but at times it can shift to the nasal area when there is congestion which inhibits comfortable breathing. Obstructive Sleep Apnea (OSA). OSA is a disorder in which the throat tissues block airway passage either partially or completely during sleep. This occurs in cycles, and the person will wake up with a snort or gasp. OSA, therefore, induces snoring and it can also be caused by untreated excessive snoring. Sleep Deprivation. People who are deprived of sleep are also vulnerable to snoring. Sleep deprivation makes you have fatigue such that when you sleep the throat muscles relax excessively and inhibit air passage causing you to snore. Sleeping Posture. How do you sleep at night? If you sleep on your back, I am pretty sure you have experienced snoring firsthand. Sleeping on your back makes the airway narrow. Additionally, the base of the tongue might move backward blocking air passage and as a result causing you to snore. Sleeping With The Mouth Open. Breathing through the mouth brings in so much air such that the pressure build-up hits the soft throat tissues so hard causing vibrations that create the buzzing sound during snoring. Alcohol, Sedatives, and Sleeping Pills. These substances slow down the central nervous system which makes the body muscles including the throat muscles to relax. Consequently, the air passage is reduced causing one to snore. Abnormally Small Nostrils may also cause resistance to air flow resulting in snoring. See your doctor if you believe this is the case – there are certain surgeries that can help open up your air passages. Smoking. The smoke from cigarettes makes the throat tissues swollen and inflamed. As they become narrower, less airspace is available for breathing, therefore, causing you to snore. Snoring has undesirable effects on both the person doing it and their partner. It can lead to daytime dysfunction (tiredness and sleepiness), irritability, and potential health problems. In fact, about 50% of people who snore have tested positive for obstructive sleep apnea. Other common diseases are daytime dysfunction and heart diseases. Use Anti-snoring aids. Devices such as anti-snore chin strap and nose vents work well to block snoring. Supplements. If you have a congested nasal or chest cavity use supplements such as goldenseal and peppermint oil to relieve a sore throat and congestion. Be keen however to avoid caffeine as this will inhibit sleep. Sleeping on your sides. This remedy will mostly work if your snoring is mild. Side sleeping posture enhances free air flow which is what most victims of snoring lack. Change pillows. This is effective for people who snore due to allergic reactions. Change your pillow at least every six months and maintain a clean sleeping environment. Quit smoking. Smoking has no proven health benefits so quitting will do you no harm. The smoke deposits which causes inflammation of throat muscles is what causes you to snore. Cutting off this addiction will be difficult most certainly, but it is a step towards healing your snoring problem. Keep off Sleeping pills and sedatives. These substances cause body muscles to relax narrowing the air passage. Ceasing their usage where possible is the best way out. Breathe through the nose. Keep your mouth shut as you sleep to ensure that you inhale regulated volumes of air. Lose weight. This will reduce the fatty tissues in the throat which block air passage. Medical procedures. These are mainly advised for people with a serious snoring problem. Treatment includes medical devices or surgery. Stay hydrated. Air passages are prone to block if you don’t hydrate often. Secretions such as mucus become stickier narrowing airways. Healthy sleep patterns. Don’t exhaust yourself so much or deprive yourself of sleep. Get at least 7-8 hours’ sleep on a regular basis and keep your body active. Nasal dilators. If you have small nostrils, you might want to take on dilators which widen nostrils thus reducing nasal resistance. Snoring happens when your relaxed throat muscles obstruct passage of air into the lungs. Snoring occurs at different levels in various people. There are those in which it is mild while in others it is very pronounced. Such people may need to consult a specialist to diagnose any health disorders. Natural methods of medicating will not always work for your specific type of snoring. Due diligence is necessary before choosing a method of self-medication. If you have a snoring problem and self-help methods are no remedy for you then it is time you visited a physician to help you decide which way forward. There are so many viable medical procedures to choose from that are guaranteed to work on you. We should, however, resist engaging in unhealthy practices such as too much drinking, smoking, and gaining excess weight since these bad habits are a key contributor to snoring. Sleeping next to a snorer is awful, but luckily, there are a number of great things you can do to block out snoring noise immediately. We recommend utilizing a noise canceling device to easily block out your partners snoring for good. Do you have any experience with snorers? Feel free to leave a comment below.